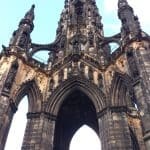 In the centre of Princes Street gardens, not far from Waverley train station, stands one of the grandest man-made landmarks in the whole of Europe- the 200-foot tall Scott Monument. 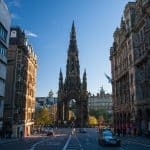 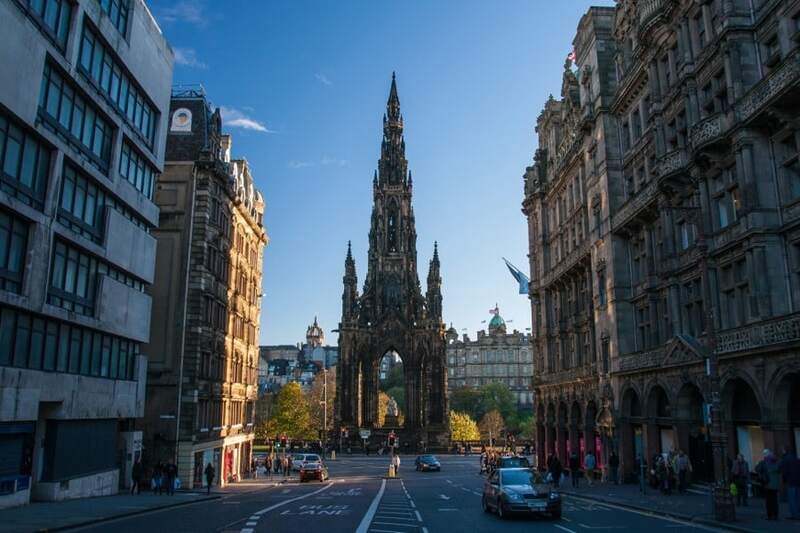 This beautiful gothic inspired structure is famous for being the largest monument to a writer anywhere in the world, and it has been an integral part of the Edinburgh city-scape since its completion in 1844. 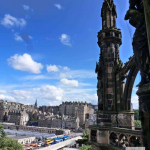 Interestingly, some of the earliest photos ever taken were of the monument during its construction, and the originals can still be seen in many of the museums in Edinburgh today. 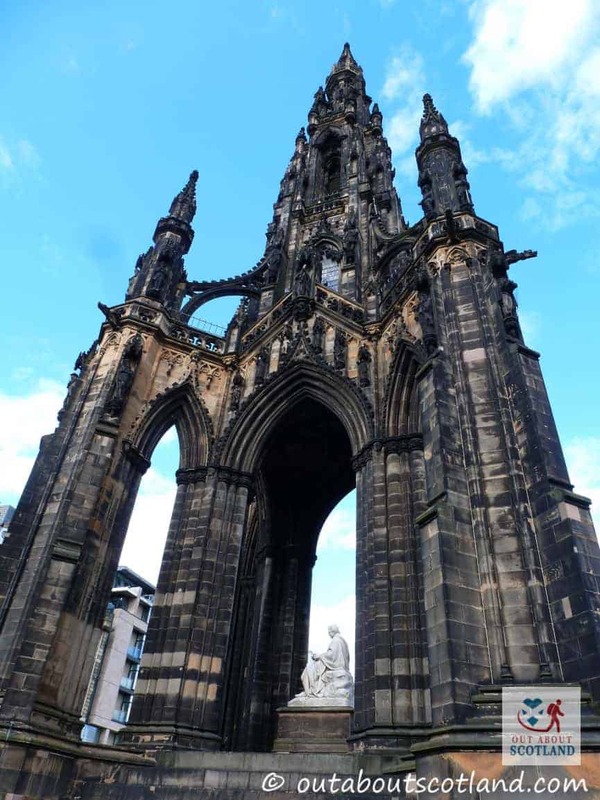 Constructed from locally mined sandstone, the monument is dedicated the famous Edinburgh writer Sir Walter Scott. 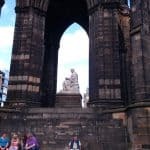 Scott was a Scottish historical novelist, playwright and poet, and over the course of his writing career he created many literary classics including Ivanhoe and Rob Roy. 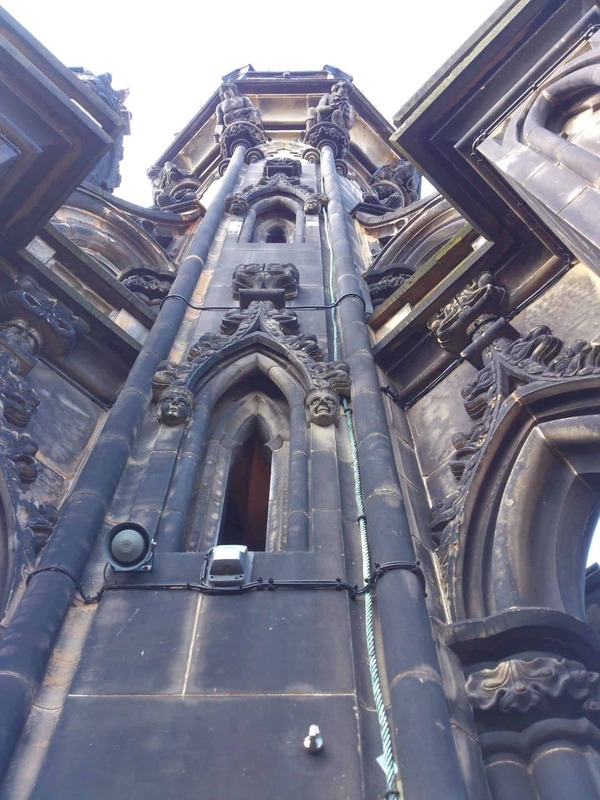 The design of the monument is inspired by the intricate designs of Rosslyn Chapel and Melrose Abbey, and the attention to detail in the stonework can be clearly seen as you walk around the outside and gaze up towards the spires. 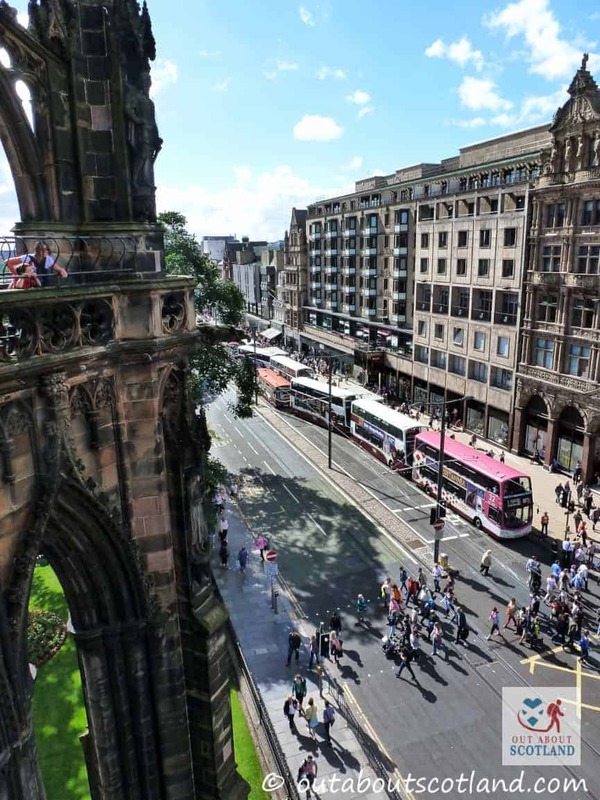 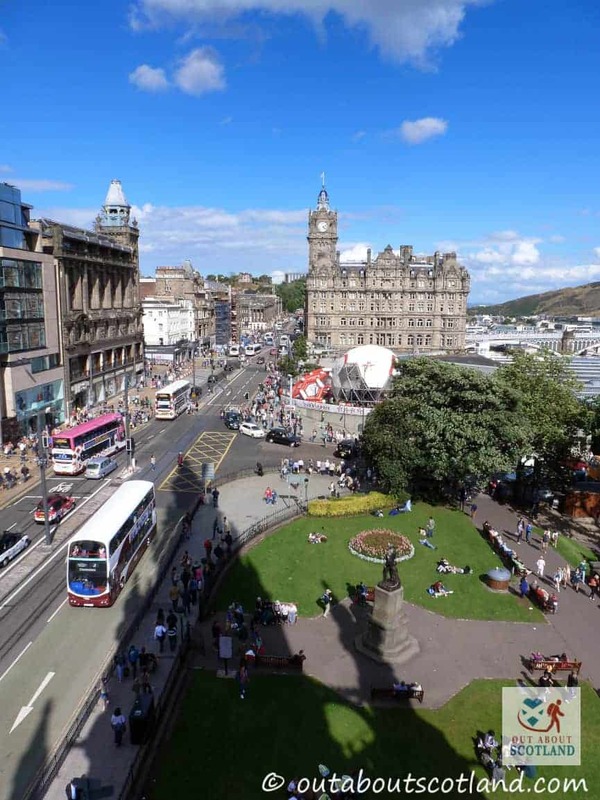 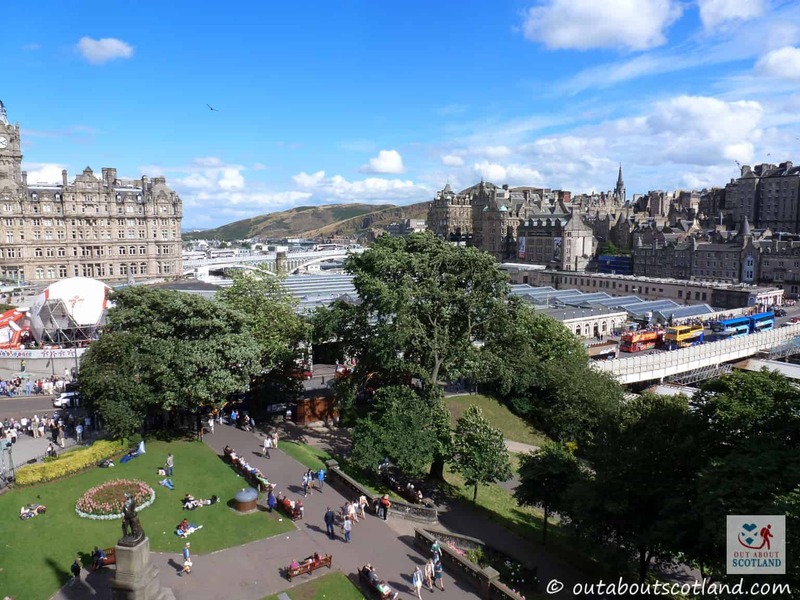 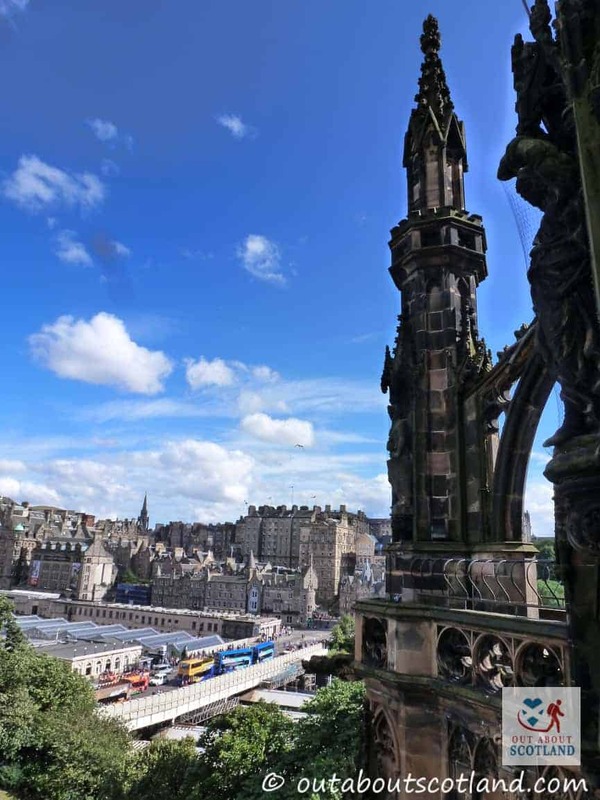 The Scott Monument is the perfect place to get an overview of the city, and inside there are 287 steps leading up a spiral staircase which leads out onto a series of viewing platforms, each of which gives fantastic panoramic views across Edinburgh city centre. 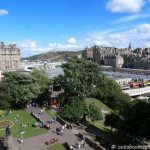 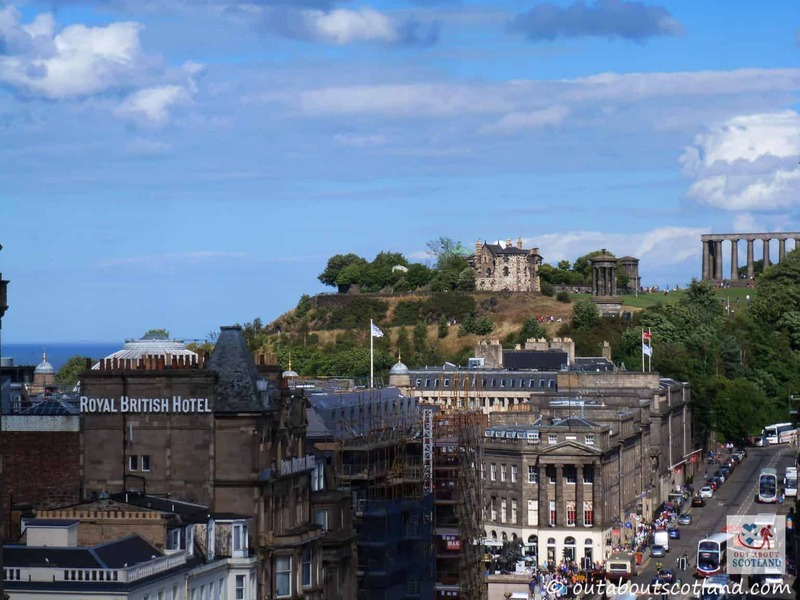 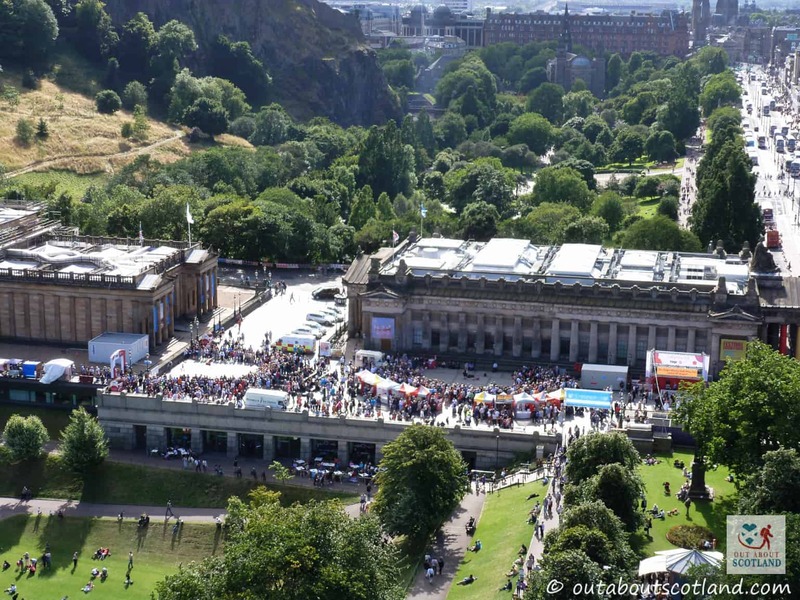 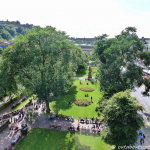 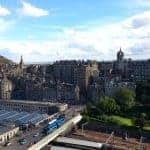 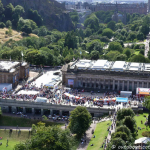 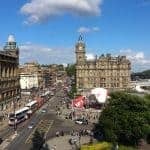 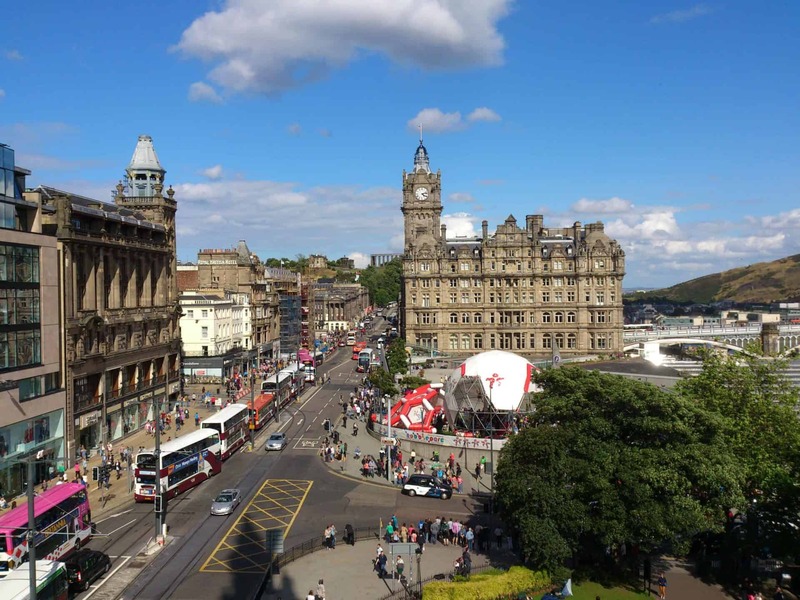 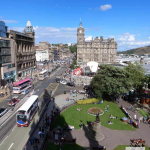 It’s from here that you can really appreciate the architecture of Edinburgh, with Princes Street running east to west, the Old Town stretching out to the south and the imposing Salisbury Crags of Holyrood Park to the south-east. 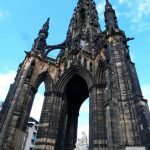 The monument was commissioned after a competition was run by the city council for ideas on how to commemorate the genius wordsmith Sir Walter Scott, and unknown architect George Meikle Kemp was awarded the contract. 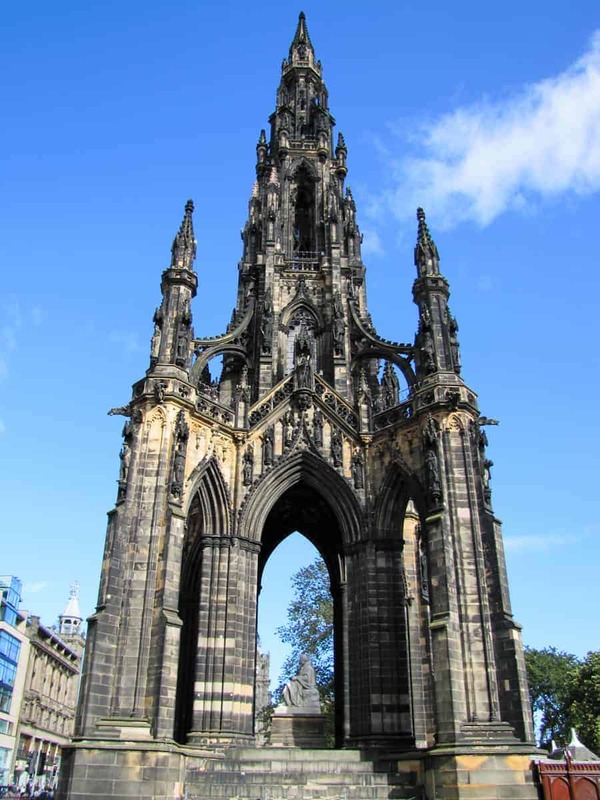 The monument took four years to complete, though at its unveiling the architect was absent having unfortunately fallen into the Union Canal and drowned sometime earlier. 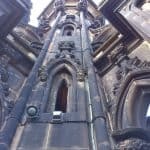 The foundation stone was laid in August 1840 and the works were finally completed in the autumn of 1844 at a total cost of £16,154. 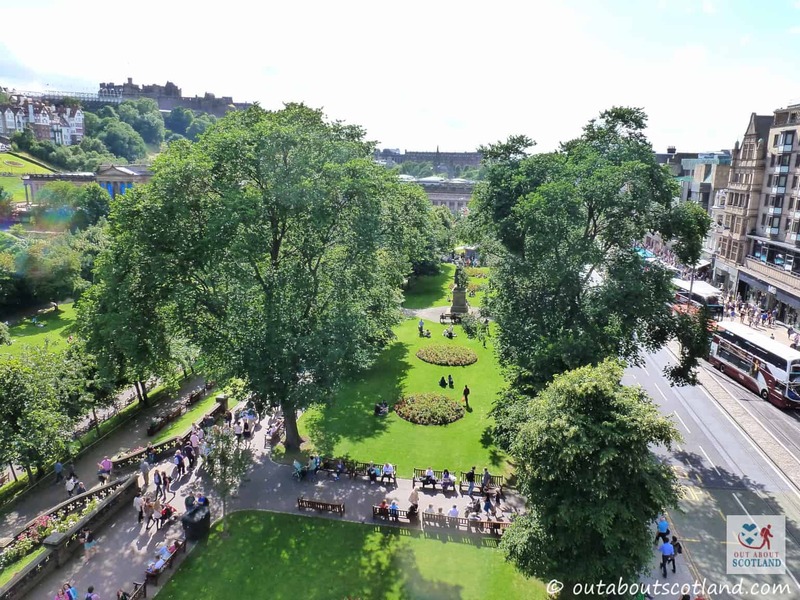 Quite a sum for the time! 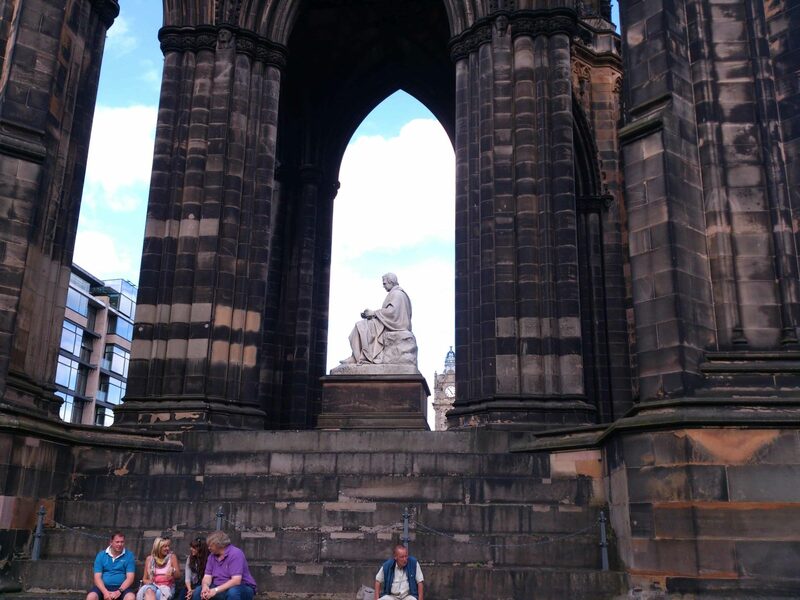 At its base, the monument houses a white marble statue of Scott which depicts the writer taking a break from creating one of his many works, with his dog Maida keeping him company. 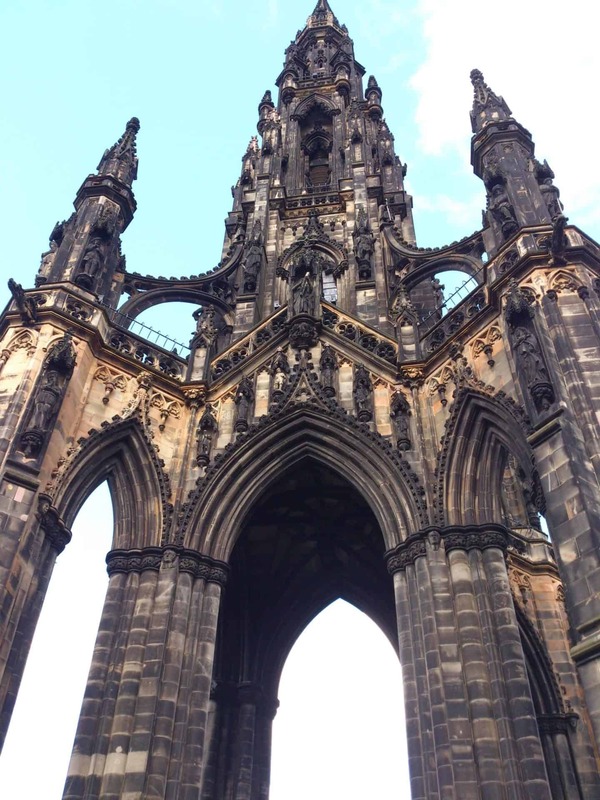 In total, the monument has 68 sculptures of characters from Scott’s novels, all of which were crafted by renowned Scottish sculptors of the time. 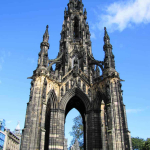 The monument can be reached on foot by walking towards the centre of Princes Street Gardens in Edinburgh. 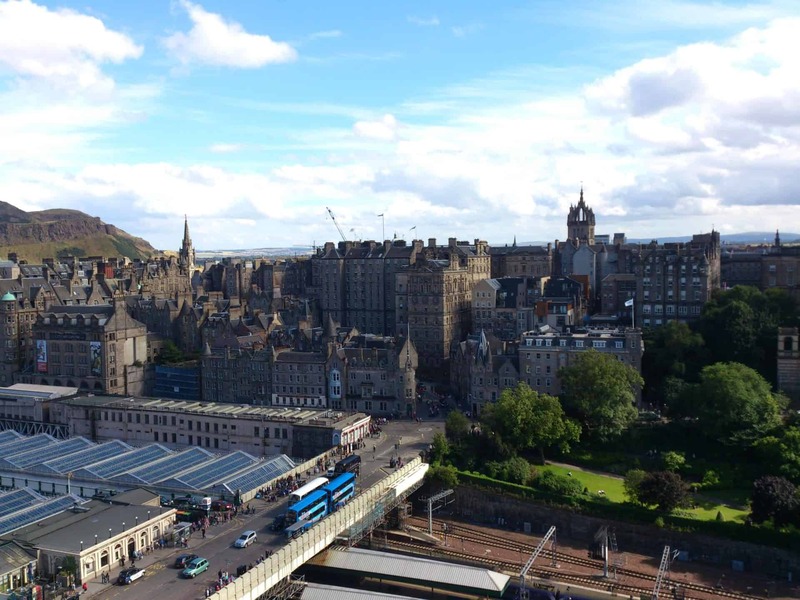 April through September: Monday to Sunday 10am – 7pm. 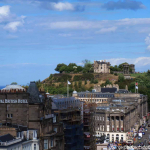 October through March: Monday to Sunday 10am – 4pm; last admission 3.30pm.